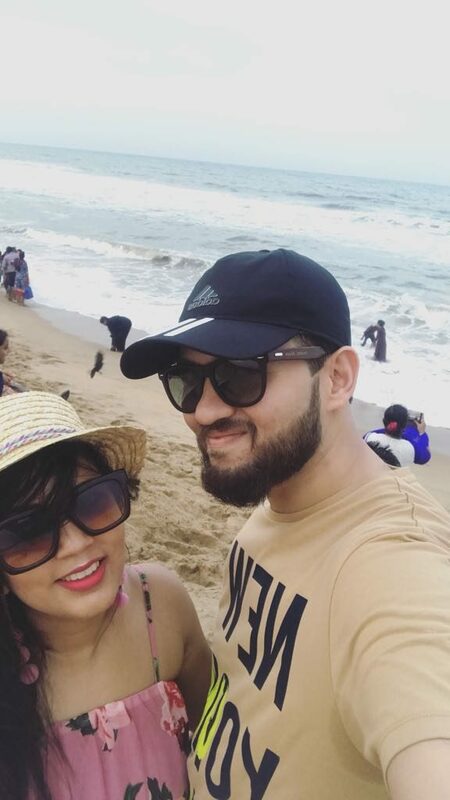 It was Mehul’s Birthday and we wanted to celebrate it beach-side; as its monsoon in Goa at this time of the year we decided on Mahabalipuram. 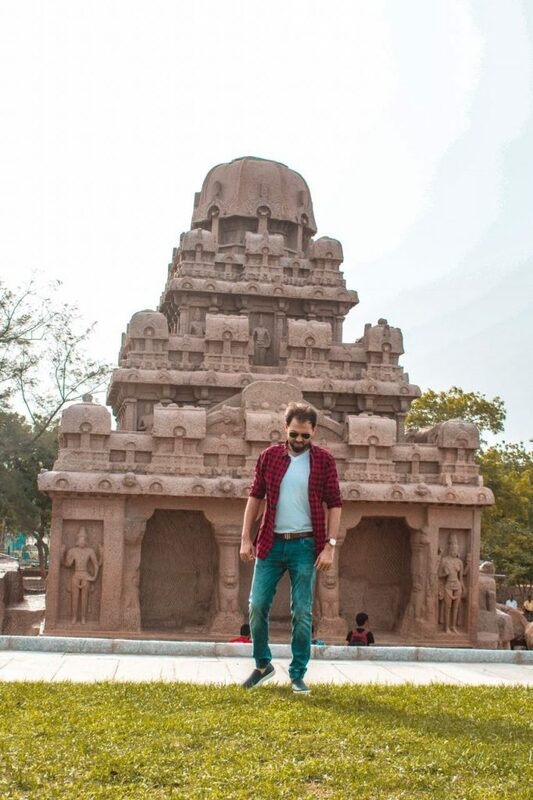 Although Mahabalipuram is 330 Km away from Bangalore, the drive took us just 6 and half hours (including breakfast break) as the road is 6-way lane and smooth (not the last 1 hour). If you love driving, for sure take this trip. 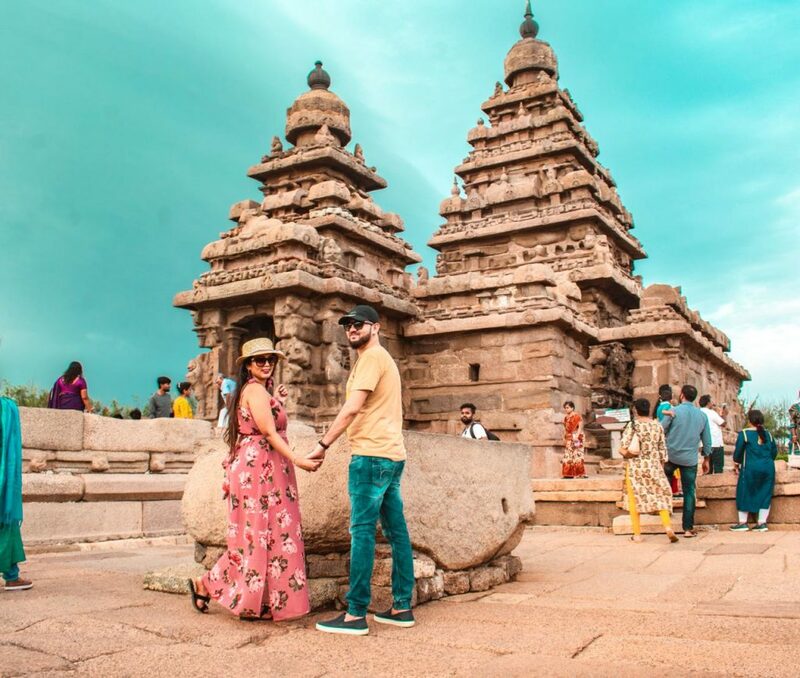 We stayed in Mahabalipuram for two nights. 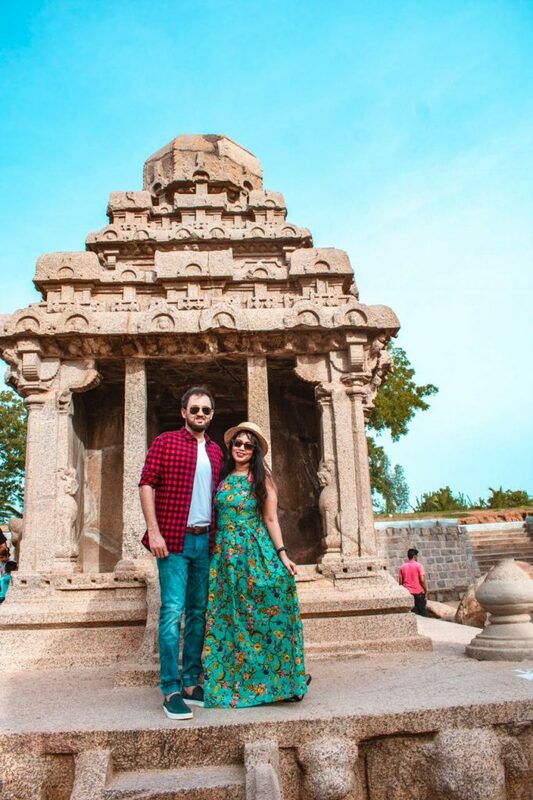 We arrived at Mahabalipuram around 11 AM, we took a nap and had lunch and then headed for the city tour. 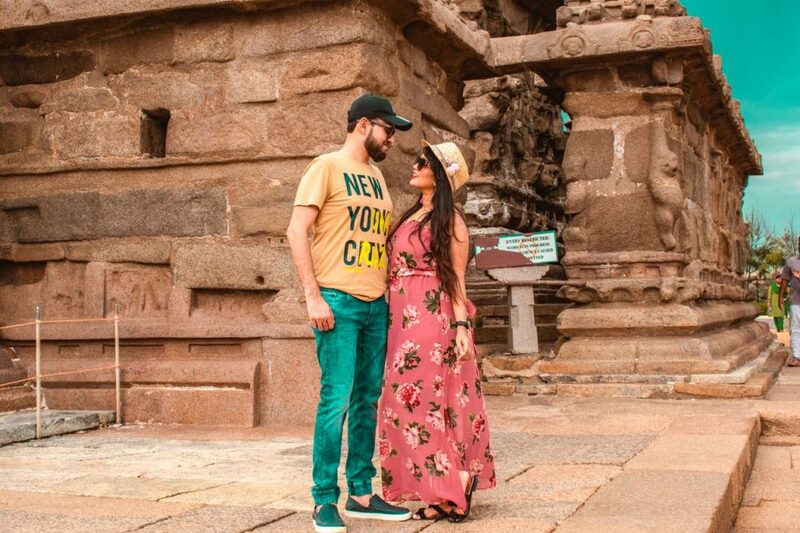 We visited Pancha Rathas, Sea Shore Temple, and Mahabalipuram beach that day and next day morning visited Krishna’s butter ball and nearby places. After that, we went back to the resort and chilled by the beach. 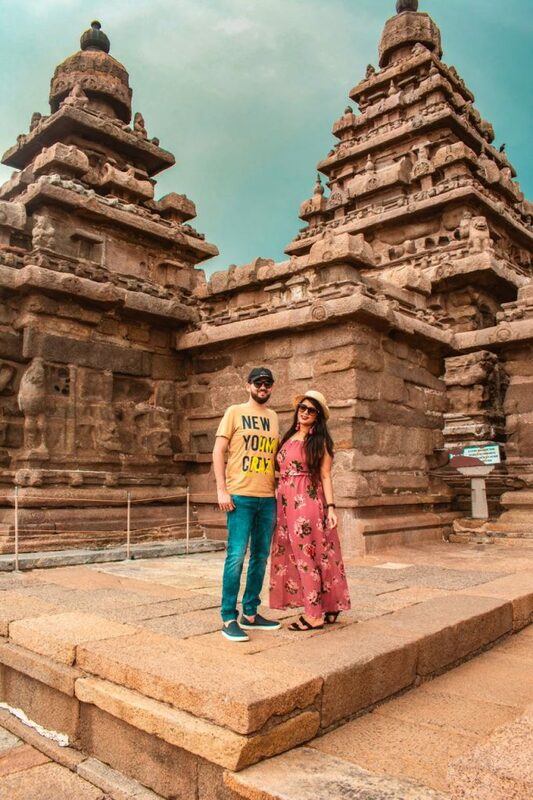 We stayed in Intercontinental Chennai Mahabalipuram Resort. On the checkout day, after Breakfast, we took a stroll beachside and then enjoyed in the pool. 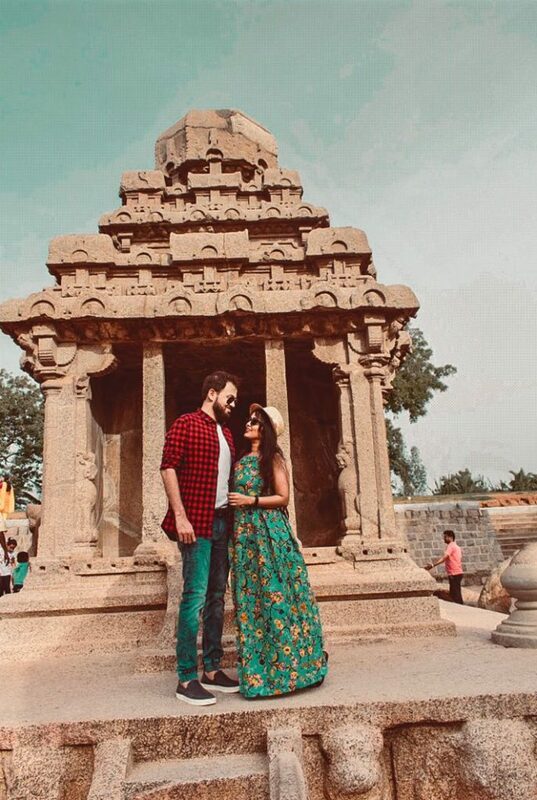 So overall it was a good mix of Travel and Relaxation. 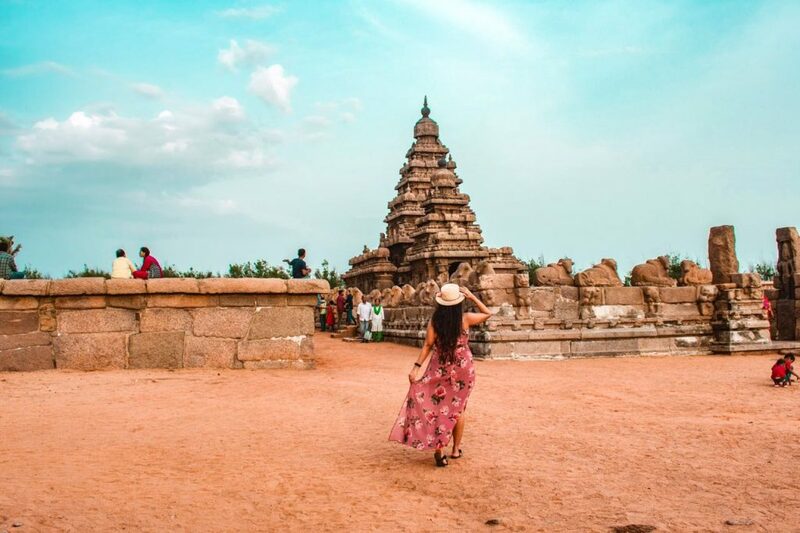 Mahabalipuram is known for its historical architectures made by the Pallava dynasty in 7th and 8th centuries and it a UNESCO world heritage site. 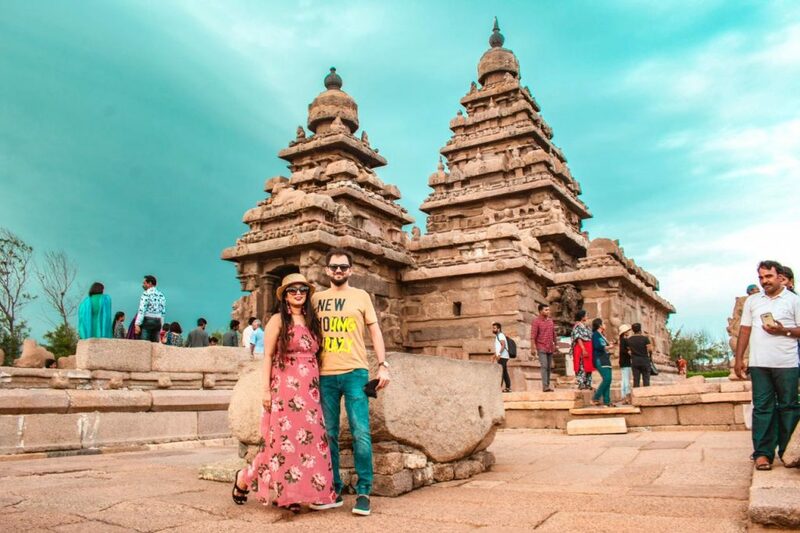 There were quite a few sites to visit in Mahabalipuram, we selected the top ones. 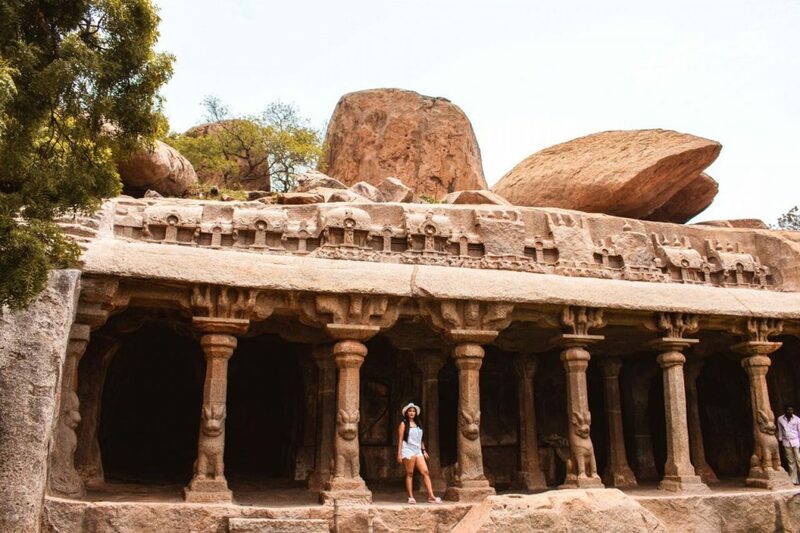 Pancha Ratha consists of 5 monuments, resembling chariots carved of a single stone. 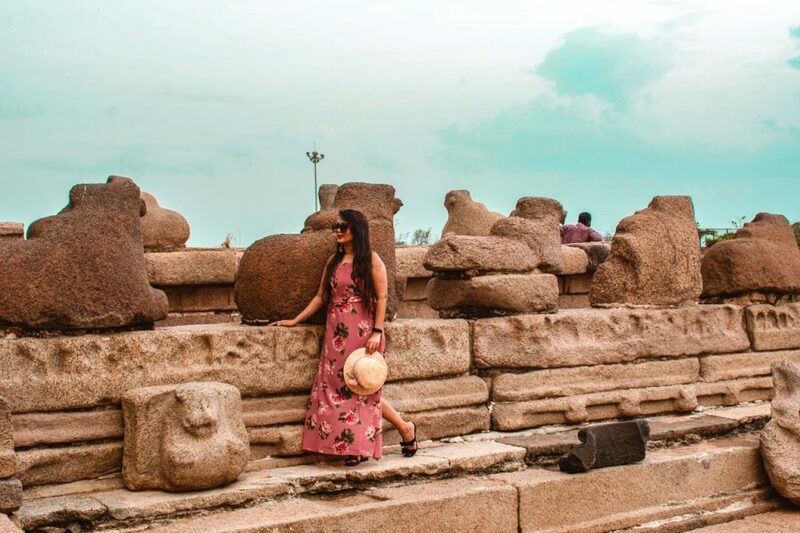 The Structures are named after the Pandavas and Draupadi. 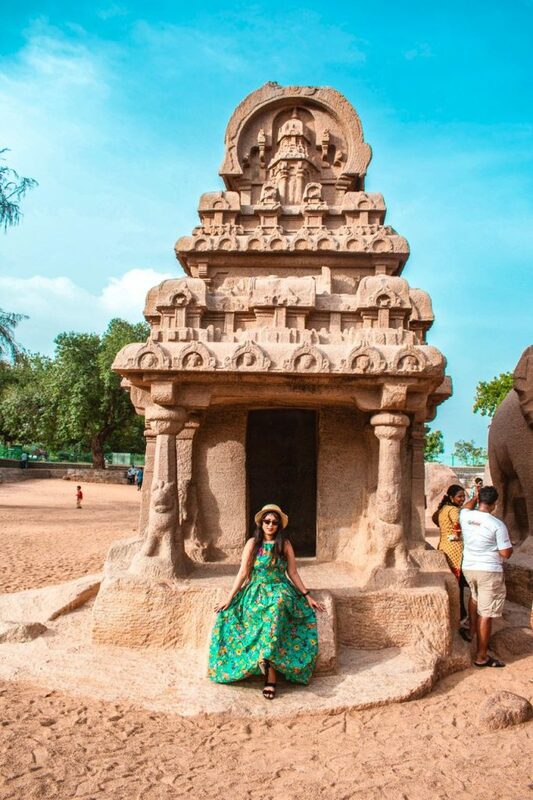 If you are wondering why 5 rathas for 6 people, that’s cause there is only one chariot for the twins, Nakula & Sahadeva. There are few more structures of animals like Elephant, Lion, and Nandi. 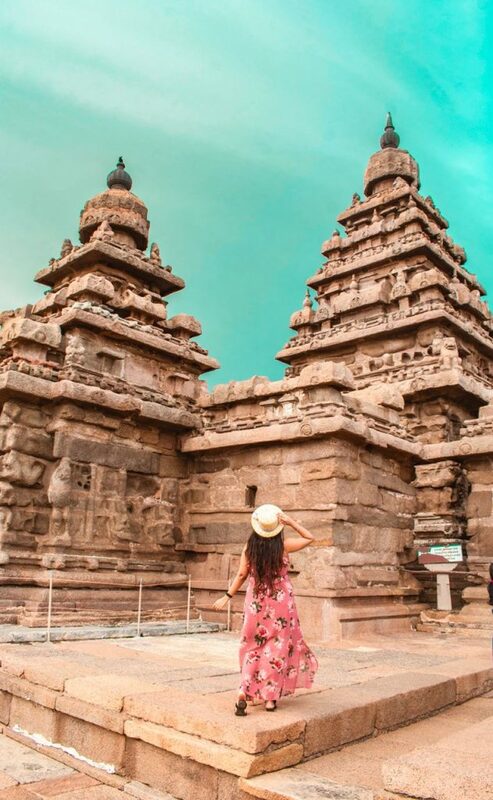 The name says it all, this temple overlooks the Bay of Bengal. 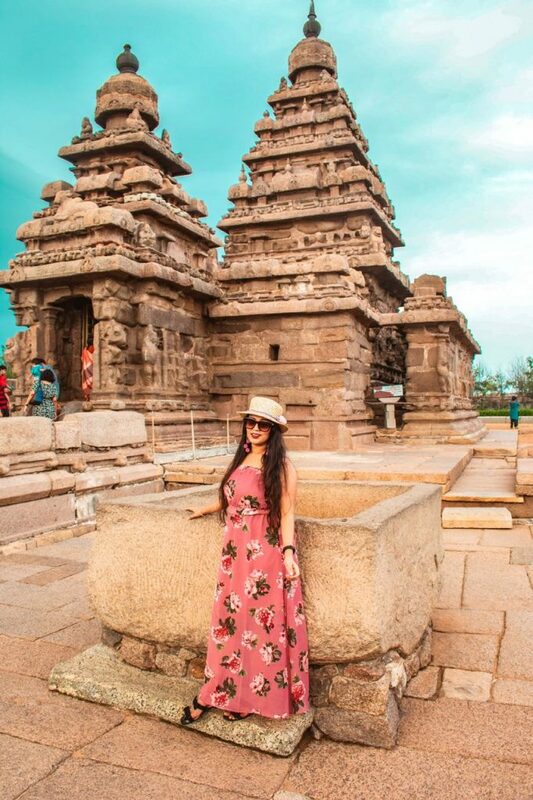 It is a structural temple, built with blocks of granite. 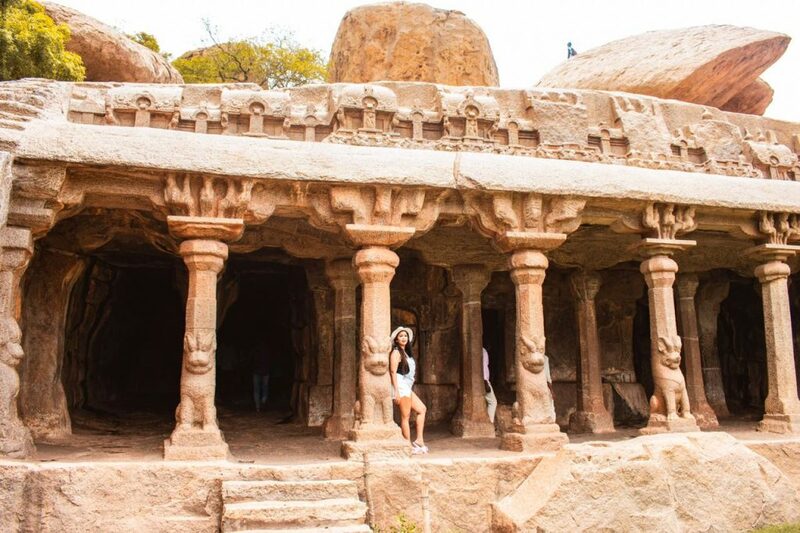 Visit this place either early morning to avoid the crowd or in the evening to take great pictures. There is an entry ticket and is open till 6 PM. 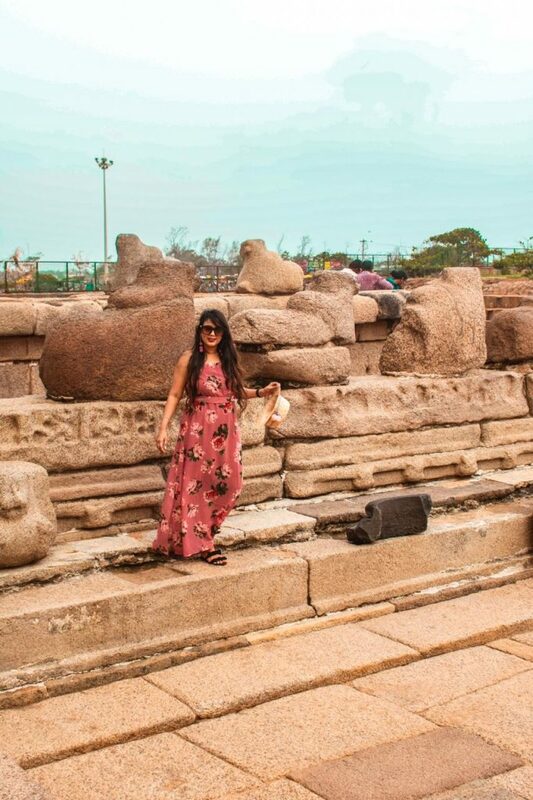 The Beach is just next to the Shore temple but you have to walk for about 10 mins to reach. The way to the beach is filled with shops, selling souvenirs and food, but it’s quite overcrowded and little dirty. Still, if you are with family you can visit as their few activities to do like horse riding, games and of course you can hit the sea. But, avoid it if you have access to another quiet beach or want a private time. 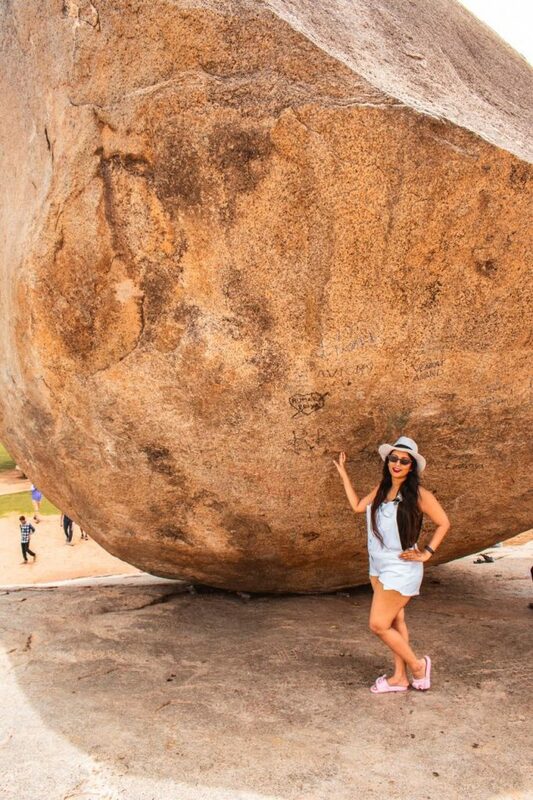 It’s a big rock, weighing around 250 tons resting on an incline. Its said the British’s tried to move it with the help of seven Elephants, but all in vain. Entry is free and is situated in a big garden, so a good place for children to play around or for the adults to relax. 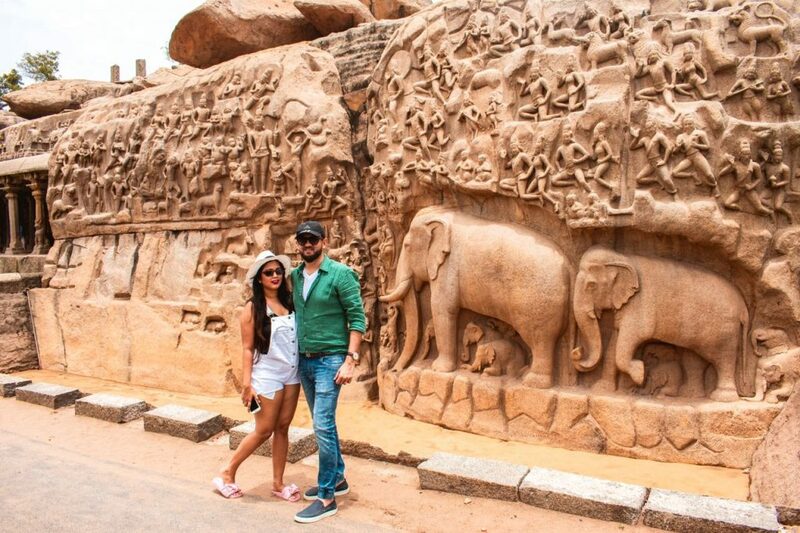 It is a giant open-air rock relief carved on two monolithic rock boulders. The structure interprets two stories, one of Arjuna’s from Mahabhartha of how he performed severe austerities in order to obtain Shiva’s weapon. 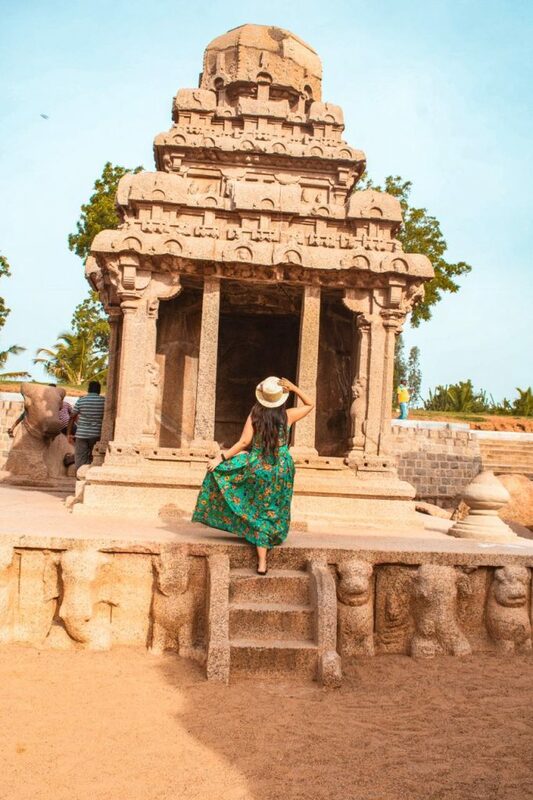 The Ganges story is similar in which the figure standing in one leg on the relief, is said to be saint Bhagiratha doing the penance to bring down the Ganges to earth for the happiness and prosperity of people. It is situated just next to Krishna’s Butter-Ball. 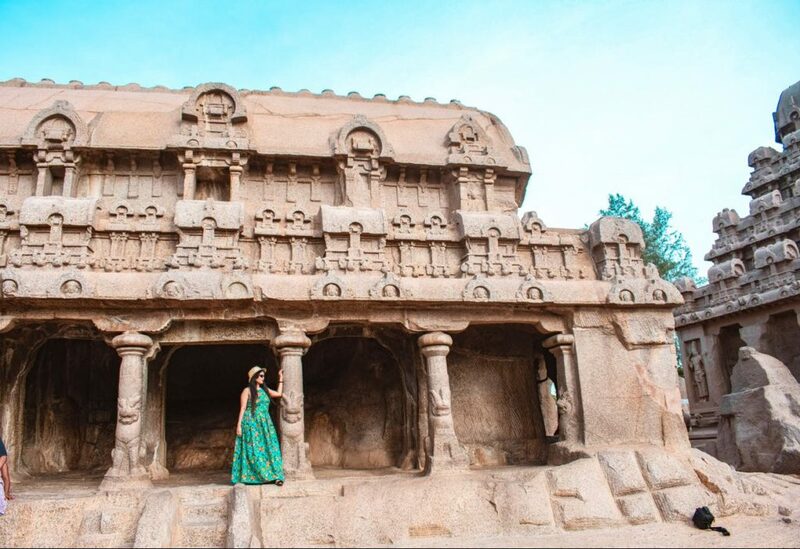 The Ganesha Ratha is a fully completed rock-cut structure, situated on the backside of Arjuna’s penance. 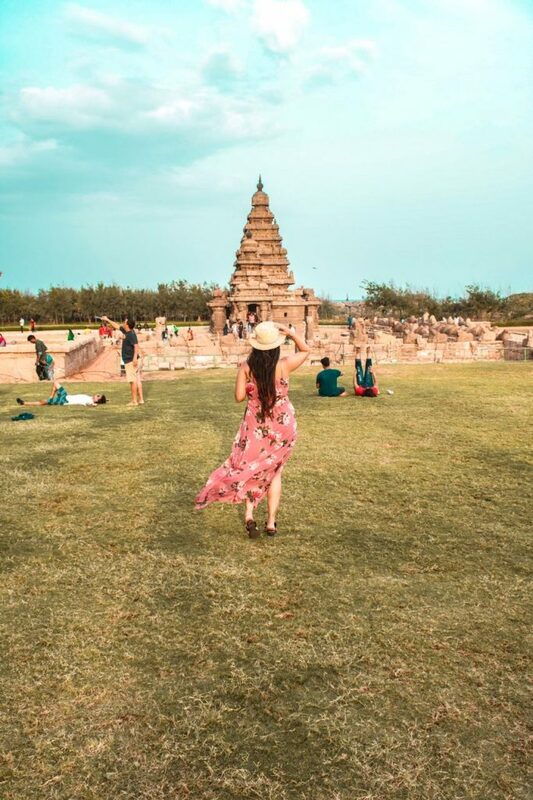 It’s quite hot in Mahabalipuram most time of the year, and it’s quite windy and cold during the evening, so try and visit the places in the evening but keep in mind that most places shut at 6 PM. Try and stay in a property which has its own beach, as the public beaches are too crowded and dirty. 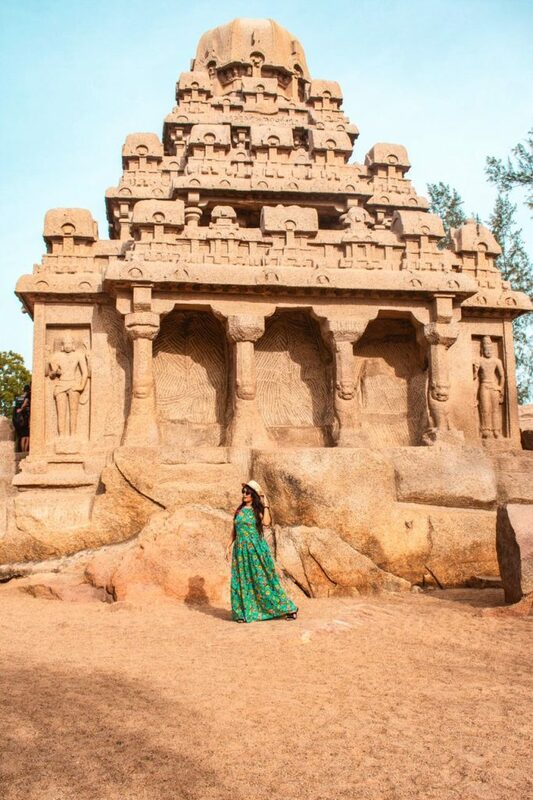 Mahabalipuram is a small town, so all the places are in close proximity which can be covered in a day. 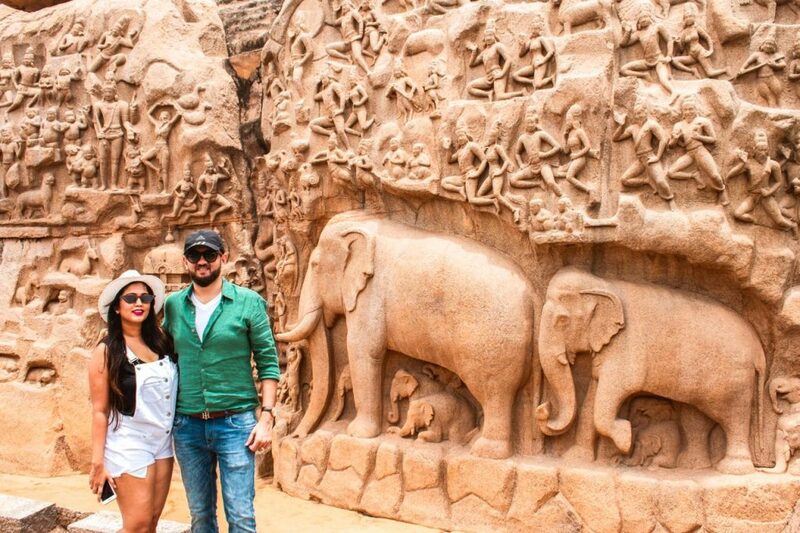 Other Places to visit– Lighthouse, Tiger Cave, India Seashell Museum, Crocodile Park (there is a night safari too). Places to eat– We loved the food at our resort, all the restaurants at the resort served good food. Other than that we tried The Golden Palate at Hotel Mamalla heritage, which was decent enough and was Pure Vegetarian.